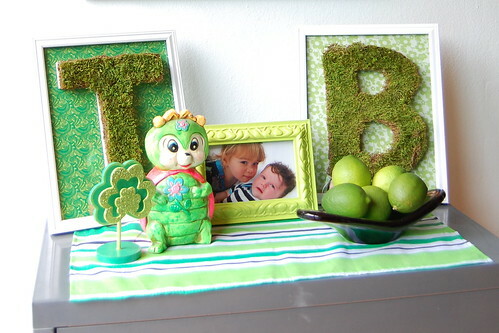 I must admit, this is my first St. Patrick's Day to decorate for. This holiday falls right after my kids birthdays and I am usually so anxious to get my collection of vintage Easter toys out that ole' St. Pat gets skipped right over. Not this year! In the spirit of the mossy Irish Blarney Stone I did a little handmade decorating this year. I love the resulting initials so much I might just make more for next year. 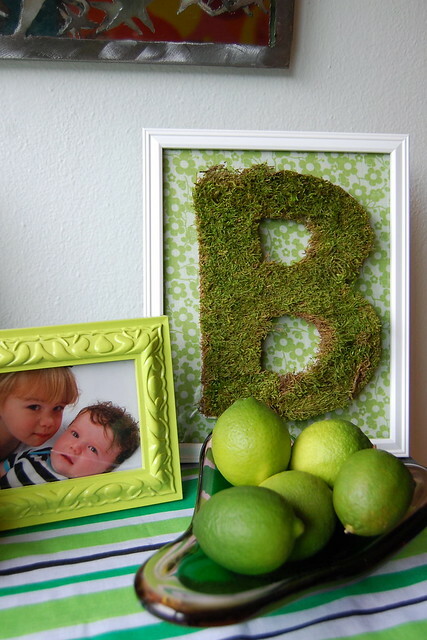 The first thing I did was trim my moss to fit my chipboard letters. The letter T for Talluah was really easy, the B took a little more effort. 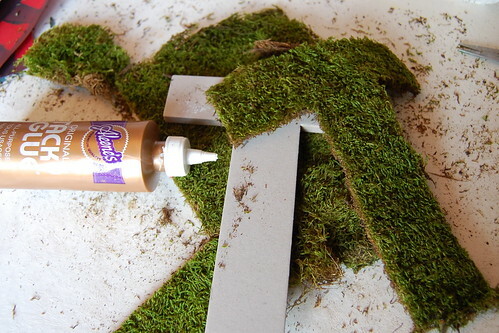 Once I had my moss cut I adhered it to my letters using Tacky Glue. 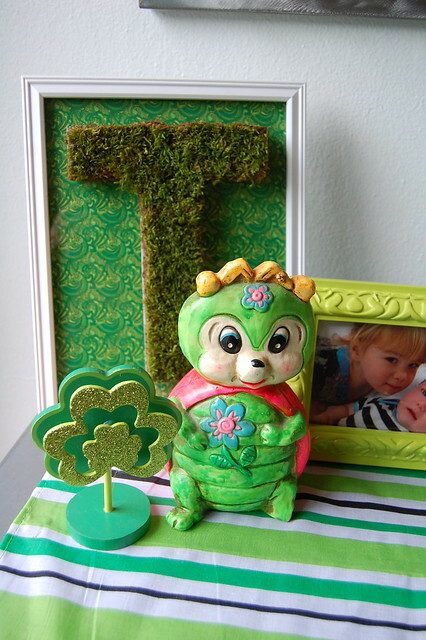 The next thing I did was to frame two pieces of green fabric. I used Liquid Fusion Glue to attach the fabric to the backside of the frame. 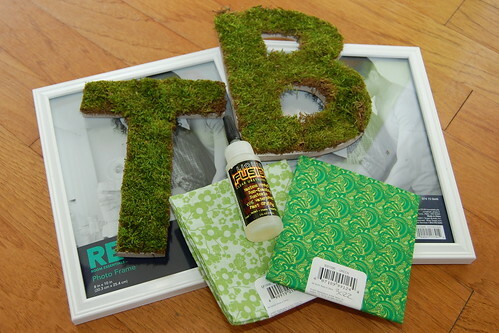 Once the glue was dried on my moss letters and picture frames it was time to join forces. 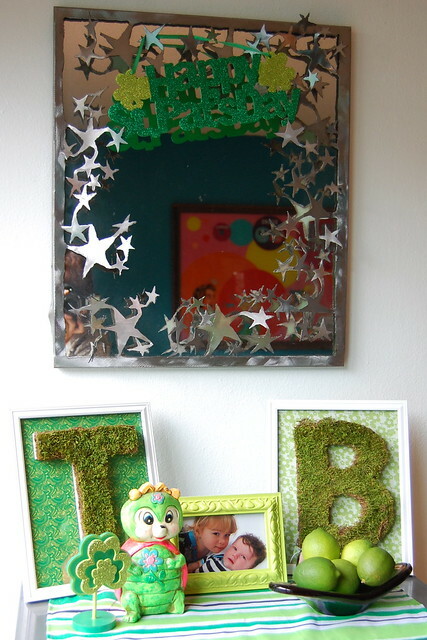 Again with my Liquid Fusion Glue I attached the letters to the glass in my frames. I love the way the letters turned out. They are perfect for St. Patrick's Day without being over the top leprechauns and pots of gold. 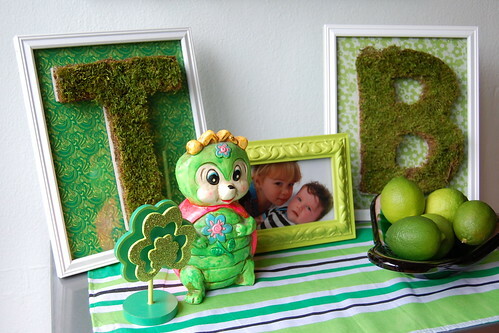 How do you decorate for St. Patrick's Day? Any special edible treats you make? Now that I have decorated I have to finish the job and make something fun and themed for the kids. Even if it just a box of Lucky Charms for breakfast. This look awesome. I will try this for St.Patrick's day. Thanks for sharing!! !